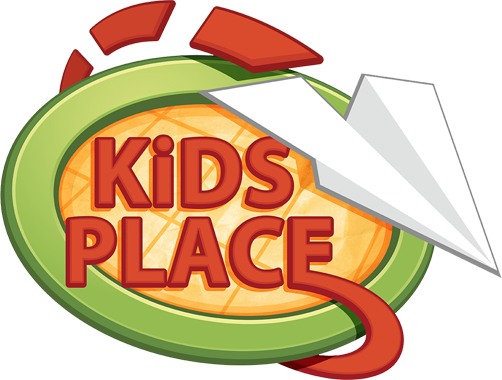 Kids Place is a children’s ministry uniquely designed with your child in mind! Kids birth through fifth grade, experience safe, age-appropriate environments where the Bible is taught in a creative and relevant way. If you’d like to learn more about the curriculum and what the Children’s Ministry is up to, be sure to email us at family@sccview.net and ask to be added to the Parents E-Newsletter that goes out each week on Mondays. First Time at Kids Place? Look for the doors that say, “Kids Guest Check In” and once inside you will find our “Kids Guest Check In Desk.” We will ask for the following personal information: family members’ names, children’s names and birth dates, family address, phone number, and any special instructions (allergies, special needs) for your child. Once your family is checked in, a volunteer will be happy to show you the age appropriate room we have created for your child. You will be given matching identification tags that are exclusive to your family and your visit. Your child will need to wear the name tag portion of your matching identification tags which bears a code that is matched to your portion during checkout at the end of the service. During checkout, you will return to your child’s room and show your receipt tag in order for your child to be released back to you. Check in closes 30 minutes after a service begins to ensure the safety of our children and the effectiveness in which we serve them. Each adult service is only 65 minutes so you will not be away from your child for very long. If for some reason your child were to need you during the service, we may text you or your last name and family identification code would appear on the lower third of the screen in the auditorium. We would ask that you exit the auditorium immediately and look for a staff member who will direct you to your child’s room. We believe that safety is vital as families entrust us with their children each week. Therefore, every child’s name tag is matched to a parent-identification number, every volunteer is screened with an interview and federal background check, and hallways are monitored with safety personnel. We desire for each child to experience a saving relationship with Jesus Christ. We also value children’s relationships within the small group setting as they relate to their connect group leader and other children within the group. As families commit to attending the same service each week, children are placed in a group of familiar faces where relationships can grow! Kids love fun! We realize that when children have fun at church, they can’t wait to come back. We value creating fun ways for children to learn about Jesus on their level. Copyright © 2019 Stockbridge Community Church. All Rights Reserved.